I was very skeptical about writing an article like this, Venice is far too beautiful to even think it’s possible to enjoy it in one day, or even less!! Moreover, since we had a lot of requests in this sense, we will help you. As I said, visiting Venice in one day is a challenge and the first thing to do is to choose. You can read our posts about our favourites places and choose some of them. If you are coming by train or bus, take a ferry boat from the train station or Piazzale Roma heading to St. Mark. This way you will enjoy a rather cheap boat trip on Grand Canal (around €7.5 per way). Get off at Ponte di Rialto. It is a very nice experience to pass under Rialto Bridge. Visit Rialto Bridge and the area nearby, very nice and full of shops and Bacari to eat and drink something. Reach by walking St. Mark, enjoy the nice square, the cathedral, Ponte dei Sospiry, the bell tower, palazzo ducale etc. After that, cross Ponte dell’Accademia and reach Punta della Dogana. On Ponte dell’Accademia it is possible to enjoy one of the most beautiful views of Venice, while Punta della Dogana is a very special place. On the way back to the train station, you can either visit Zattere Area and maybe try the famous ice-cream (Giandujotto) by Nico or a fresh spritz at Osteria Allo Squero. If you choose the other road called Strada Nova, you may stop at the Jewish Ghetto and visit Fondamenta della Misericordia, known for its many Bacari, or take street food at Frito-Inn. a gondola tour, which is a rather expensive but unique experience. visit some museum: we suggest Palazzo Ducale, the bell tower, St. Mark Cathedral and Basilica dei Frari. Eat traditional food of Venice, check our list of Bacari here. 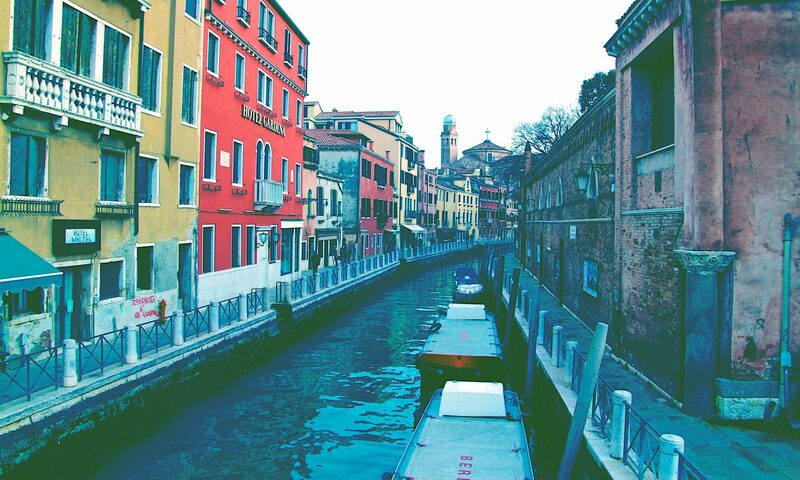 Visit the islands: Murano and Burano deserve a visit! Buy some souvenirs: an object of real Murano glass is the best souvenir of Venice you can get. If you liked this post, share it and save a tourist!! For any doubts, feel free to write us. We would also be happy to receive any comments or suggestion to improve this post or our blog.